Demonstrate a common diagnostic technique. 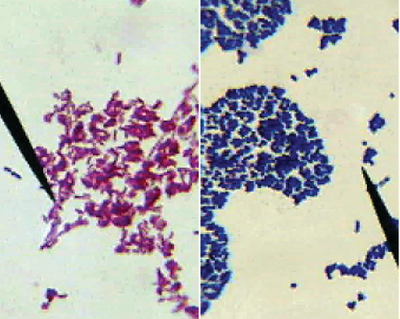 Teach students the basics of Gram staining procedure, a valuable diagnostic tool commonly used to identify bacteria in research and clinical settings. Students will study two different strains of bacteria under a microscope to differentiate Gram-positive and Gram-negative bacteria. Kit includes bacteria strains and all necessary components for Gram staining. Supplied with components needed for hands-on experimentation for eight workstations of 2-4 students or 16-32 students.